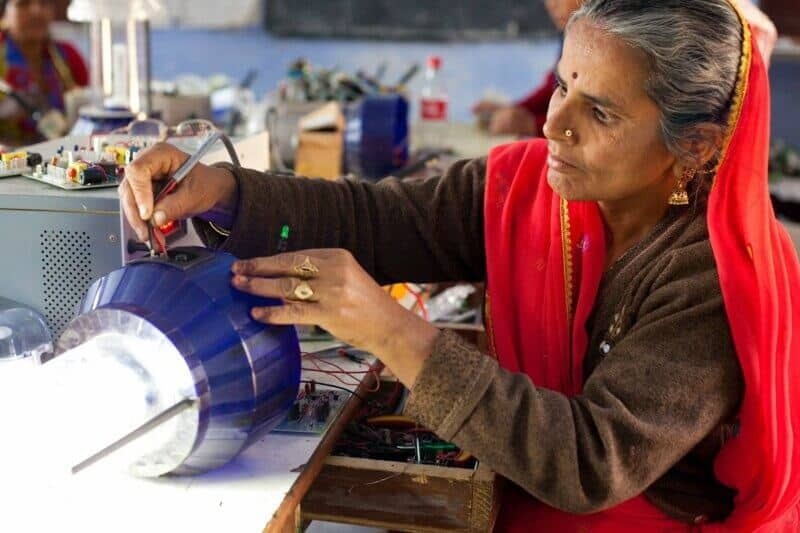 Woman learning to be a solar engineer at Barefoot College. Photo credit: Gaurav Bhan Bhatnagar. A guest post by Gaurav Bhan Bhatnagar of The Folk Tales, an award-winning responsible tourism company operating in India. 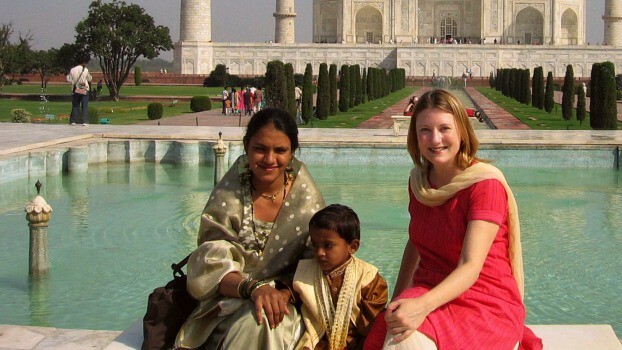 From my solo travel experiences in India, I have always noticed that women play a major role in tourism. But often it goes unnoticed because of its very nature. 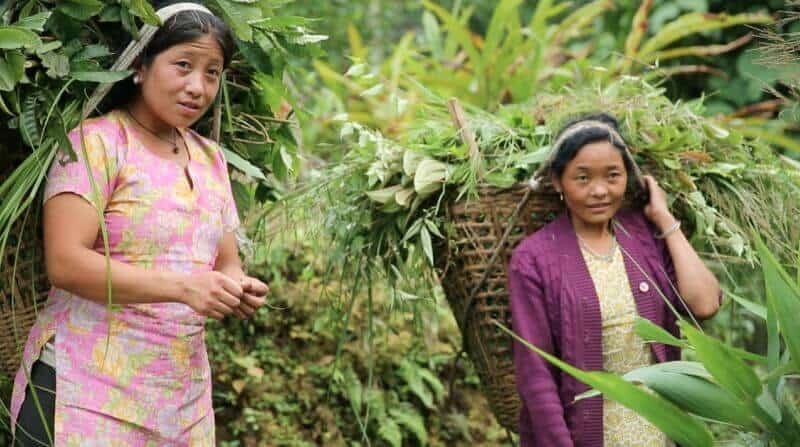 For example, in the case of community-run, responsible tourism projects in villages, women tend to take up the roles of cooking, cleaning, and other household chores. These chores are of great importance in running a homestay, but do not get the required recognition. While women get the roles of decision making in household chores, they seldom get the same role outside. Which is why we need women empowerment in India. According to a study by UNWTO, women make up majority of the tourism workforce in this world, irrespective of the geographical region. It was a pleasant surprise when I visited Barefoot College in Tiloniya village, Rajasthan, which was founded by Bunker Roy in the year 1972. Women from more than 70 developing nations — from South Asia, Middle East, Latin America, and Africa — are trained as solar engineers over a six-month course. Every year, more than 50 women participate in this course, which is led by female teachers from the local villages. The goal is to use time tested village wisdom and knowledge to evolve village-based solutions in the areas of solar power, waste paper recycling, and rain water harvesting. After completing the course, women have gone back to their villages in Afghanistan, for example, and electrified the houses for the first time. Barefoot College is creating success stories. “I have only studied till class six. I don’t know how to read and write. But we teach women how to design circuit boards for solar lanterns,” a proud but humble female teacher told me as she kept one eye fixed on her students. I could clearly see how grounded and settled she was as a teacher and as a decision maker in leading the course for students. Day tours to Barefoot College are available for people and students who would like to see the campus and learn more about what they do. 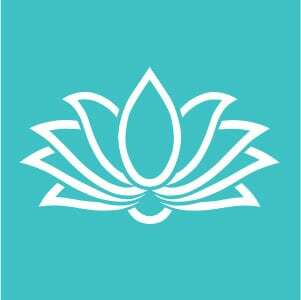 You will get an orientation of the college and the projects that help empower and teach women and children. The introduction of these tours have opened up a plethora of opportunities for the exchange of ideas between the community and the visitors. Although Barefoot College is not entirely dependent on tourism for funds, the additional funds through responsible tourism provides opportunities for projects like night schools for children and conservation of indigenous plants of Rajasthan. 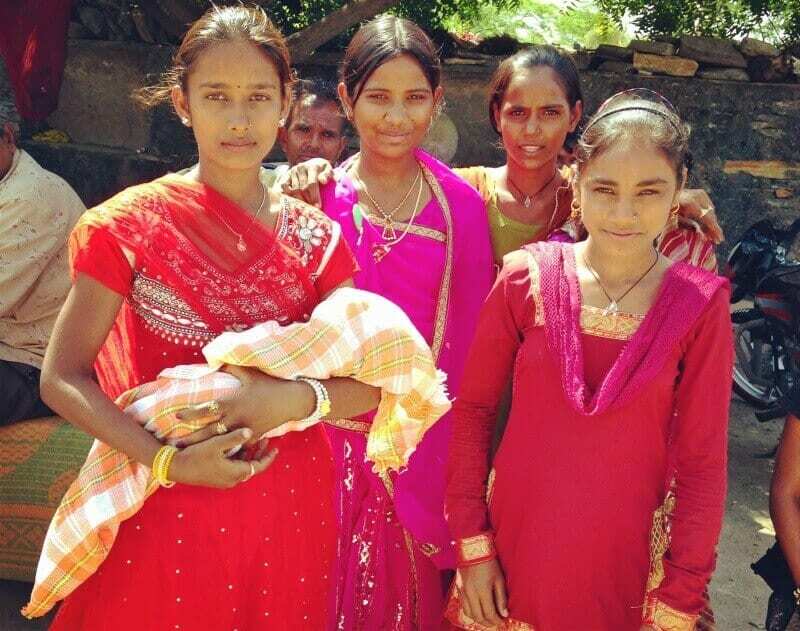 Barefoot College keeps alive the primary focus: Women first. I stayed for two days in the guest house on the campus of Barefoot College. It was a small, clean, and cozy place that runs entirely on solar power. Highly energetic Brijesh Mishra showed me the campus, crafts centre, solar engineer training centre, waste paper recycling unit, and puppet centre. On the street in Bikaner with women and girls of Rajasthan. Photo credit: Mariellen Ward. Prashant, a volunteer at Barefoot College told me that Bunker Roy bought old UN reports and recycled the paper to make puppets and dolls that are now used to teach aspects like cleanliness, education, and human rights in villages of Rajasthan — where it is better to communicate through visual cues. Many people who started working at Barefoot College as children have now grown old. But they are still content and very committed to their work. I call this a real example of retention of talent within the village. 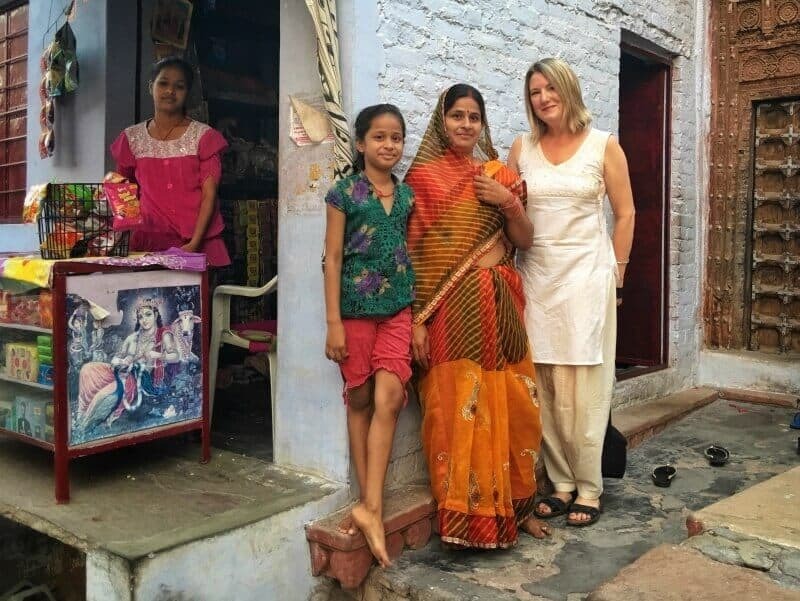 During my visit to Barefoot College, my belief in the ability of responsible tourism to help in the empowerment of women in India was reinforced — though it cannot be executed in isolation. It is just one pillar of the many required for the sustainable development of humanity and for women empowerment in India. In 2015, the United Nations, along with the participating nations, adopted 17 Goals for Sustainable Development. Goal number five is about Gender Equality through various actions, one of which is active involvement of women in decision making in the responsible tourism sector. Women of Rajasthan. Photo credit: Mariellen Ward. There is a gradual but visible shift in the way people are travelling now. I clearly see that the new trends in travel are about reaching out to cultures, nature, traditions, and to the local people. This is not entirely achievable without active involvement of women in responsible tourism. Involving women corresponds to helping them in employment, promoting fair market for local goods produced in cottage industry, and in eliminating any discrimination. 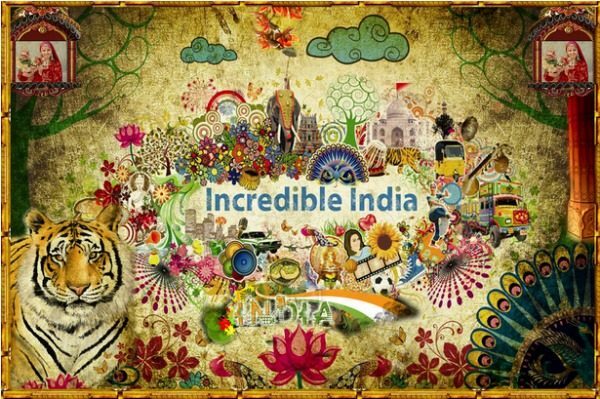 India is a diverse country, which is mostly noted for its patriarchal society where men are in authority over most aspects of society. Rajasthan finds a special mention when we talk about a society with strong patriarchal roots in India. Barefoot College is not only a shining example of gender equality in Rajasthan, but also a guiding light for many such possible projects in other parts of India. I believe that amidst all the negativity projected by media, examples like that of Barefoot College need to be brought forth through responsible tourism. How to reach Barefoot College: Tiloniya is approximately 14 kilometres from Kishangarh and 50 kilometres from Ajmer in Rajasthan. Superfast trains going to Ajmer stop briefly at Kishangarh from where you can either take a private taxi or a government bus to Tiloniya. Gaurav Bhan Bhatnagar is an ex-software engineer and founder, director at The Folk Tales. The Folk Tales specializes in village tours of India with primary focus on responsible tourism in alignment with the guidelines of UNWTO. 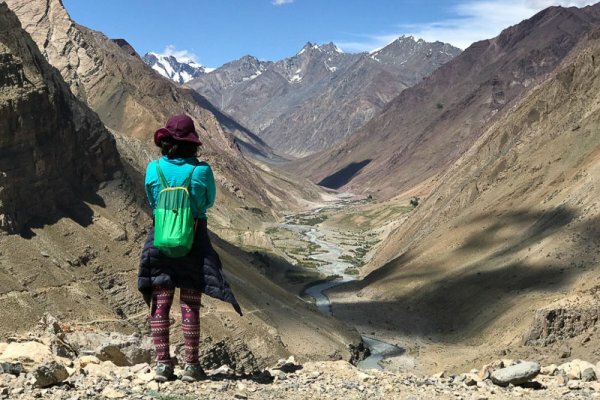 The tours focus on involving locals, giving greater opportunities to women, and in providing deeper connect to the traveler through cultural immersion with the community. He is also a speaker and travel writer who actively advocates for sustainable development, environmental and cultural conservation through responsible tourism.